Summer is here in our part of the world. Now that we’ve celebrated Memorial Day in the US, we’re ready for flip flops and tee shirts. Not to mention tall, cool drinks. So we’ve decided to kick off the summer season by rounding up some seasonally appropriate cocktail recipes. We’ll race you for the hammock. Americano Cocktail. An Italian thirst-quencher, named for American imbibers. Bermuda Rum Swizzle. The drink that inspired the swizzle stick. Blue Hawaii Cocktail. Elvis lives! Bombay Presidency Punch. Invented in 17th century India, this may be among the oldest mixed drinks. Caipirinha Cocktail. Fresh lime adds zing to Brazil’s national cocktail. Fog Cutter Cocktail. A Tiki charmer from Trader Vic. Harvey Wallbanger Cocktail. It’s like liquid sunshine, dude. Mai Tai Cocktail. Maybe the world’s best umbrella drink. Margarita Cocktail. Need we say more? Piña Colada Cocktail. Perfect for a weekend escape. Sherry Cobbler Cocktail. The drink that popularized ice and straws (really). Singapore Sling Cocktail. Colorful, exotic, legendary. Tequila Sunrise Cocktail. A 70s drink with far-out flavor. Zombie Cocktail. The bad boy of Tiki drinks. Berry Shrub, Nonalcoholic Version. Refreshing fruit flavor without the booze. For higher octane, just add an ounce or two of amber rum (or vodka). Cape Codder Cocktail. This summer cooler is a breeze to make. Cuba Libre Cocktail. AKA Rum and Coke (but don’t forget the lime juice). Dark and Stormy Cocktail. Perfect for the hot and thirsty. Doctor Funk Cocktail. The Tiki drink named after Robert Louis Stevenson’s physician. Gin and Tonic Cocktail. This ultimate summer cooler originated as a health drink. Gin Rickey Cocktail. Air conditioning in a glass. Mojito Cocktail. Fresh mint, lime, and Cuban sparkle. Moscow Mule Cocktail. The drink that put vodka on the map in the US. Paradise Cooler Cocktail. Take leave of the heat with this Tiki refresher. Pimm’s Cup Cocktail. The best drink you’ve probably never had. Planter’s Punch. The great granddaddy of Tiki drinks. Sloe Gin Fizz. A blast from the past. 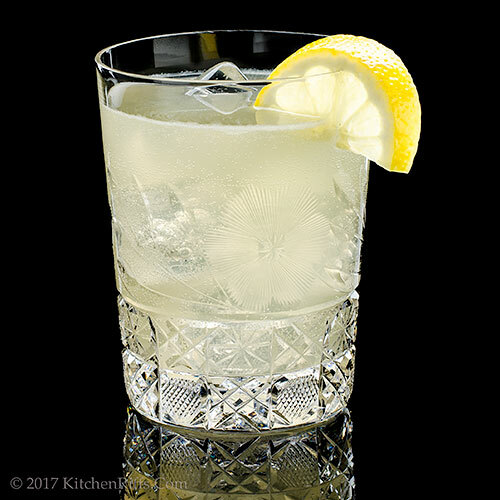 Tom Collins Cocktail. The classic lemony refresher. Alaska Cocktail. Bracing as a glacier. Bamboo Cocktail. Bright flavor, low alcohol—the perfect warm-weather aperitif. Champs Élysées Cocktail. Perfect for Bastille Day and the Tour de France. Classic Daiquiri Cocktail. JFK and Hemingway didn’t do girly drinks. Cosmopolitan Cocktail. Yeah, we know—but it tastes really good. Gimlet Cocktail. Lime cordial adds tang. Gin Daisy Cocktail. This classic tastes, well, fresh as a daisy. Hula Hula Cocktail. A brunch-friendly Tiki drink. 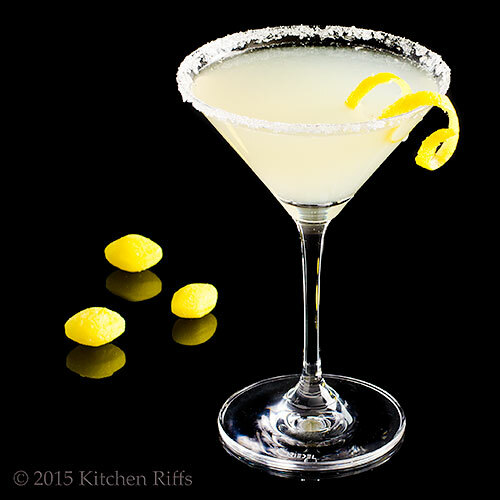 Lemon Drop Cocktail. Better than candy. Negroni Cocktail. The ultimate predinner drink. Pisco Sour Cocktail. Tart and smooth, this may be South America’s tastiest product. We have loads more drinks for your summer imbibing pleasure—just check out Our Recipe Index. If you’re new to mixing drinks, you might want to look at our Cocktail Basics post. Next week we’ll start our traditional Summer Sippin’ Series. So more drink recipes are on the way. You may want to stock up on booze. So many cocktails. So little time. And so many good wines and craft beers to compete with them. You make life so difficult! I made your berry shrub last year and it was delicious , I used it to flavor my mineral water. Thanks for the recipe. Hi Mae, choices are good, right? :-) Thanks for the comment. Hi Gerlinde, shrubs are great! We like 'em with or without booze, but they're a wonderful drink for those who don't care to imbibe. Thanks for the comment. 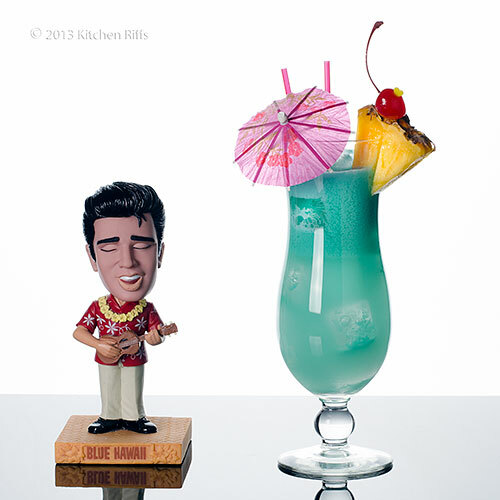 I love the Elvis pic with the Blue Hawaii Cocktail! I am so ready for many tall cool drinks, one per night from this amazing list! Thanks for sharing. Your cocktails are always so beautiful! It looks and sounds delicious. You are my go-to cocktail recipe guy!! So many winners---plus I always like to make a tried and true specialty cocktail for my book club each year! Thanks! Hi Evelyne, that Elvis picture is a favorite of ours, too. :-) Thanks for the comment. Hi Pam, we love the flavor of cocktails, but think their good looks are even nicer! Thanks for the comment. Hi Liz, bet your house is the most popular one for your book group! :-) Thanks for the comment. Hi Ansh, LOL, race is on! :-) Thanks for the comment. All we need is some hot weather! May gray is back! Gerlinde just raves about the berry shrub, on my list to try this berry season. Hi Deb, shrubs are good -- you'll like. :-) Thanks for the comment. Hi Tricia, the Cape Codder tastes wonderful, and is SO refreshing! Thanks for the comment. Now I really NEED one! They all look so beautiful and I have no doubt that they are very yummy too. Oh John I love this list and that Blue Hawaii looks delish! I saw a drink last night that looked really good You know I'm not much of a drinker but it had Aperol, Prosecco and some other stuff. It was orange with fruit in it. Looked so good. Do you know what that would be? Hi Angie, they ARE yummy. :-) Thanks for the comment. Hi Vicki, might be some kind of Aperol Spritz. Could be a lot of other things, though, too! :-) Thanks for the comment. One of each, please. Cocktail hour must be a real treat at your house! Hi Terry, one of each coming up! And yes, cocktail hour IS a treat. :-) Thanks for the comment. Where does one start? So many choices and so many hot days in the future. I guess a different one each day should it. Thanks for the list of summer refreshers! These look fab. I hope I can make mocktales out of them :). Hi MJ, one-a-day should do it. :-) Thanks for the comment. Hi Amira, you can make a mocktail out of the Berry Shrub -- it's really good. :-) Thanks for the comment. You are officially my go-to cocktail guy! What a great idea to have all of these cocktails in one place. And I hope to have many of them in one place this Summer - my hand. :) Pinned. Hi Lea Ann, yup, the best place for a cocktail is in one's hand! :-) Thanks for the comment. I only see one problem with this list: I don't know where to start! They all sound so good! I suppose I'll just start at the top and work my way down. Have a great weekend! Hi Kelsie, starting at the top sounds like a good plan! Thanks for the comment. Hi Bobbi, we aim to please! :-) Thanks for the comment. Hi Denise, probably a good idea to try each one. Twice. Just to make sure which one you like most. :-) Thanks for the comment. 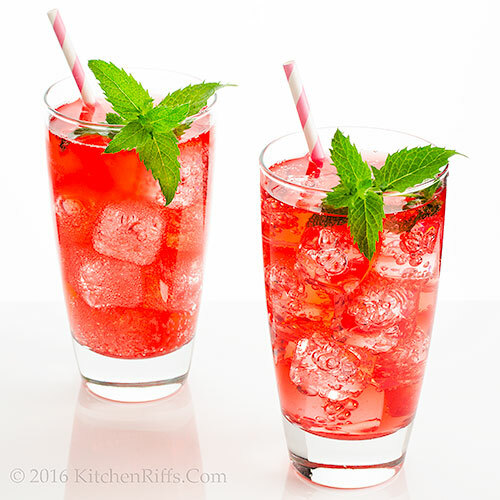 You always post the best cocktail recipes and this roundup has me excited for some old fashioned summer relaxation. Hi Laura, hard to beat relaxing with one of these thirst-quenchers. :-) Thanks for the comment. Damn John. I don't think summer is long enough to try each one of these. I might have to have at least two happy hours a week. That might make Manservant happy! My only regret is that I doubt I could get to all of these in one weekend. I'm going to have to pick a favorite! Hi Abbe, guess you'll have to go to two happy hours a week, then. Gotta keep Manservant happy, after all. :-) Thanks for the comment. Hi Jeff, important to prioritize in life. :-) Thanks for the comment. So I am totally going to share this with Landon. He is the KING of making drinks for everyone when we have parties and lets just say, in about 2 weeks or so, we are going to be having parties QUITE A BIT. Alas, we have not revealed why quite yet but you shall see soon! SO THANK YOU for making our parties THAT MUCH BETTER!!! Hi GiGi, looking forward to your big reveal! And tell Landon to have fun with these. :-) Thanks for the comment. So many cocktails, too little time... I'll need to make my way through this list little by little. It's going to be a delicious summer! Hi Frank, always good to have a summer project! :-) Thanks for the comment. Hi Carolyn, this list will keep you busy for awhile. :-) Thanks for the comment. Yay! 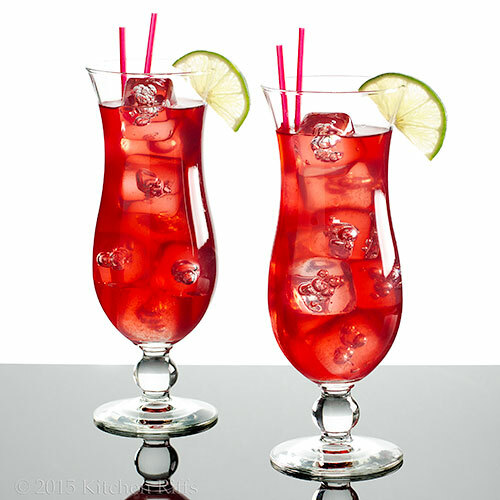 I can't wait for summer and want to have these cocktails in my hand all season long! Hi Amy, something about summer and cocktails that's SO nice. :-) Thanks for the comment. Hi Marta, it does, it does! :-) Thanks for the comment. Hi Emma, start at the beginning this weekend, and go from there. :-) Thanks for the comment.